A Chris and Jacqueline Laurita bankruptcy update is finally here! The couple has been battling a legal case related to their former company Signature Apparel. The latest in the very long and convoluted legal situation is that the Real Housewives Of New Jersey stars are accused of owing their attorneys $290,000! As a brief recap, in 2009 Signature Apparel filed for a corporate bankruptcy. The trustee, Anthony Labrosciano, contested it claiming they bled a profitable company’s accounts dry to live a lavish lifestyle, then filed for bankruptcy. Mr. Labrosciano filed a suit on behalf of the courts against Chris, Jacqueline, two of Chris’s brothers Anthony and Joseph Laurita, plus Joseph’s wife Adeline. 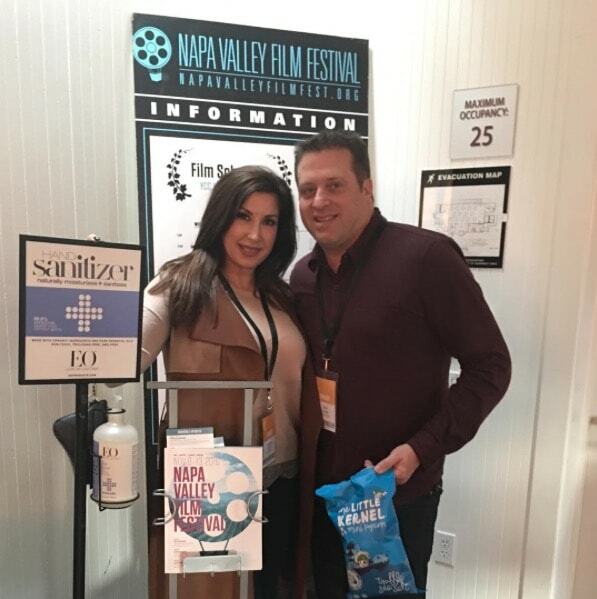 Here we go again… Former Real Housewives of New Jersey stars Chris and Jacqueline Laurita are facing foreclosure on their Franklin Lakes mansion, according to new reports. If you recall, back in April of 2013 Jacqueline and Chris faced foreclosure on their home but worked things out with a mortgage modification and saved their home – for another two years at least. Now NJ.com reports that the Lauritas are in foreclosure again – and not just on this home, but on another one, as well. Able to leap unpaid for mansions in a single bound, Jacqueline Laurita is here to save Real Housewives of New Jersey! On the heels of her heroic #sarcasm return, Bravo asked Jacqueline to update fans on the status of her relationship with both Dina Manzo and Teresa Giudice. She also shared a short and sweet update on her house/mortgage situation. Jacqueline shared that she has no relationship with Dina – but it’s not her fault. Now that the RHONJ is no longer paying her mortgage, Jacqueline Laurita is selling her home! The former Real Housewives of New Jersey star is listing the 5,7000 square-foot Franklin Lakes home for $2.85M. The couple, who almost lost the home to foreclosure last year, paid $1.72 million for the manor-style home in 2001. Unfortunately for Jacqueline she is asking far more than the appraised value. The property is assessed for $2.2 M and carries a $34,000 PER YEAR property tax rate. Jacqueline Laurita can put away the moving boxes! The Real Housewives of New Jersey star has saved her mansion from foreclosure! We reported back in March that Chris and Jacqueline were in default on their Franklin Lakes McMansion. Shortly after the news hit the web, Jacqueline hit back at the reports, saying that they were not in foreclosure and were simply modifying their mortgage. They were previously paying over $10,000 per month! According to TMZ, Jacqueline was able to make a deal with the bank before the default case headed to court and the case was dismissed on April 17th, just days before Jacqueline spoke out to explain the modification. BREAKING: Jacqueline Laurita Speaks Out On Foreclosure & Tax Debt! Real Housewives Of New Jersey Star Denies Both. Jacqueline Laurita's financial situation has been everywhere in the news lately. Court documents are claiming she is being sued by her mortgage company and in danger of losing her home, in addition to owing over $300,000 in back taxes to the State of New Jersey. The Real Housewives of New Jersey star spoke to Tom Murro of FoxCT last night to deny and explain the charges. Tom reveals that Jacqueline was essentially cornered and forced to address the situation. Sounds RHONJ-ish. "Thank you for all who were concerned, but my house is NOT in foreclosure. There is no threat of losing it. We simply modified our mortgage which is a process," Jacqueline insisted. "Our mortgage modification has been approved and all is good." Caroline Manzo Confronted With Albert’s Affairs On Season 5 Of Real Housewives of New Jersey! Plus, Update On Jacqueline Laurita’s Foreclosure! Um… so what were people saying about Real Housewives of New Jersey being more positive? I guess this is what I have to say: what comes around goes around, ladies! Caroline Manzo has been hinting that husband Albert Manzo hasn't always been faithful. In recent press for her book she commented about alleged affairs. And rumors surfaced that Teresa Giudice pointed out the hypocrisy of Caroline calling out Jr. Mafia Juicy Giudice for fidelity problems when Albert is no better. Caroline claimed she did not believe Albert had any "long-term affairs" but conceded that "he is a man."